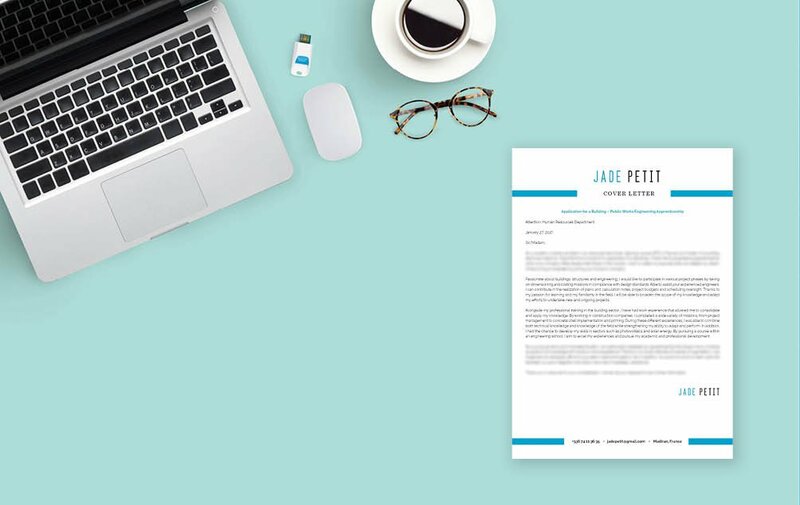 This is the cover letter you need! A great balance of design and functionality is perfect for the engineering sector! 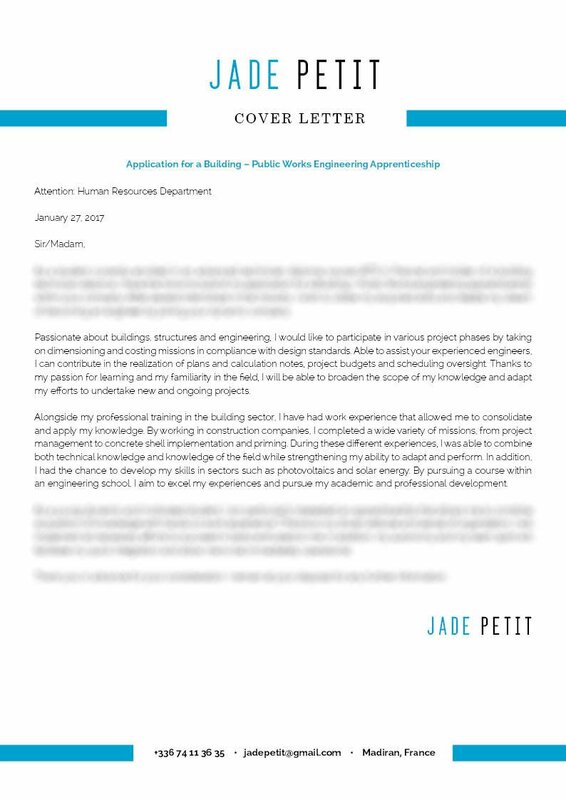 Cover letter to download "Building engineering"
The Public Works Engineer Cover letter is exactly what you need to have! 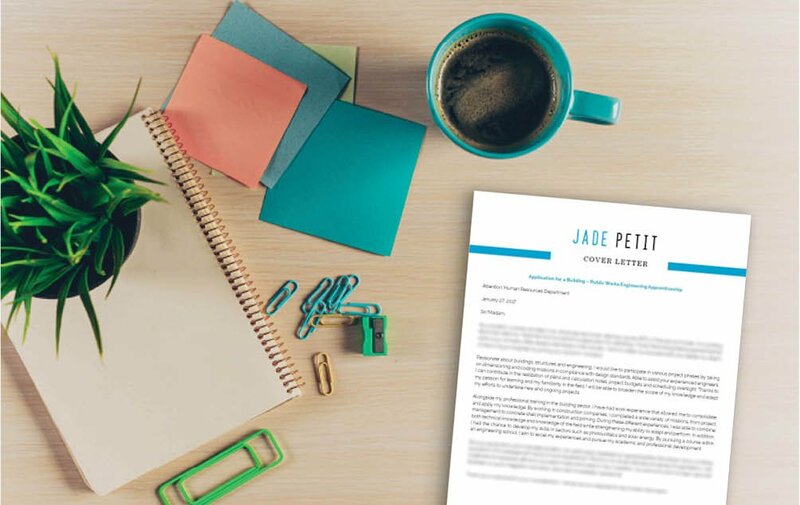 This cover letter will surely get the attention of your potential employer with its simple design that effectively showcases your skills and experiences in a clear and concise manner. Whatever job you're applying to, you're ensured that this resume will fit perfectly into your job application. 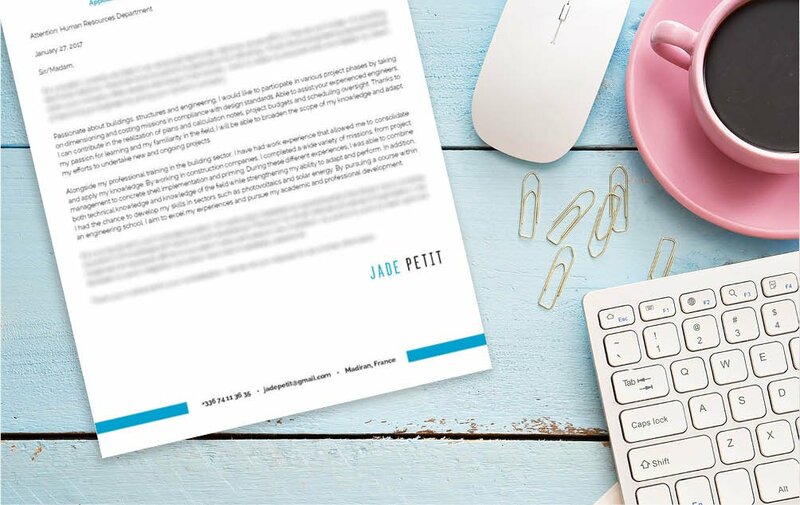 One tip to make your cover letter better is to present your skills and experiences in an easy-to-read manner. Be wary of your font sizes, wording, and the way your information is presented. The key to a perfect letter is using font sizes that are between 11 and 12. Many job seekers are tempted to keep their font small since this lets them pack more information onto a single page. But instead of accomplishing this with tiny font, use more efficient word choices to clear up space. Use words that are relevant to the idea you want to convey in your resume, get rid of unnecessary adjectives and verbs. Also, keep each paragraph of your cover letter and each section of your resume short and substantive. Break complex information down into bite-sized blocks no more than five lines long. This will ensure you a ticket for your dream job!